There are two types of TV shows in this world: One is Sensible and the other type in Indian Daily Soaps. 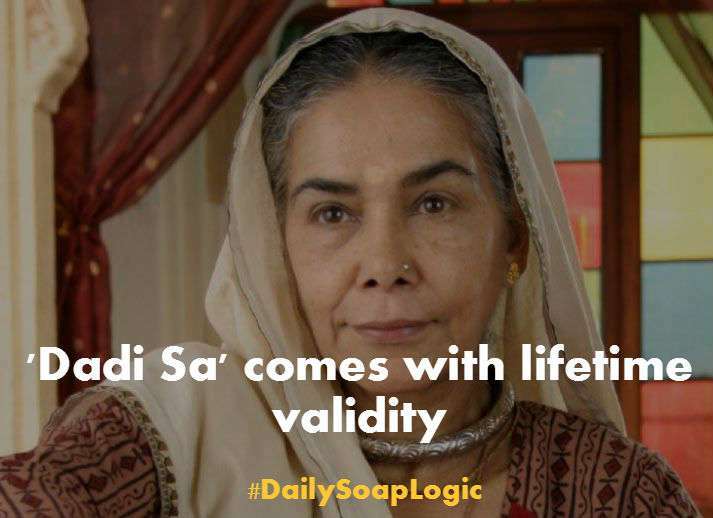 Despite showing the reality of an Indian household, Daily soaps in India show complete crap. Infact, these daily soaps can do everything for gaining TRP. Even the can turn their main character to Bees, Snakes and much more. Only if you are die hard fans of Indian television, you would be loving these Daily soaps. Despite the fact, that Indian Daily Soaps are made on a subject that mostly covers the various issues/fights between the family members. Yet, they are just too funny. Characters in the serial never die, nor do they age. Moreover, most of the Indian women are big fans of these serials because these serials are simply out of this world. If you don’t believe us, check out the reasons below. 1. Their Heavy Makeup is a Source of Gossip for all the Ladies out there. 2. 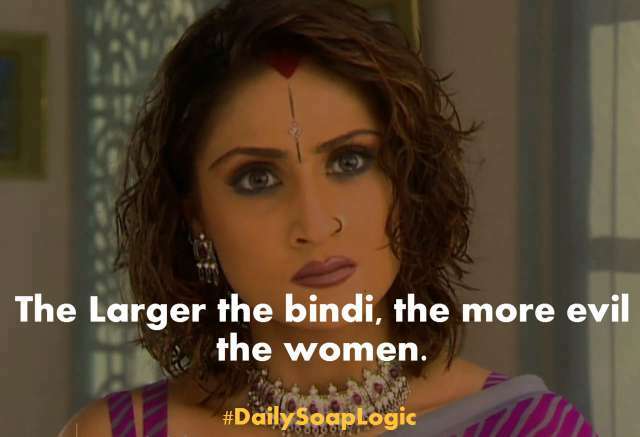 Most Important Logic: The Larger The Bindi, The More Evil The Women. 3. Their Characters are Immortal. Because Ageing is too mainstream. 4. Because Marriage is their Favourite Hobby. The number of husbands define the success of the Serial. 5. Plastic Surgery is too common that they don’t change Hairstyles indeed they change their Face. 6. Because they never lie even if they Fart in Public. 7. And their Endless Expressions are the main source of the TRP. Also, let us know which of the above reasons, about Indian Daily Soaps being out of the world, do you think is the most appropriate one. And please, if you like this, don’t forget to share it with your friends so that they can laugh too.